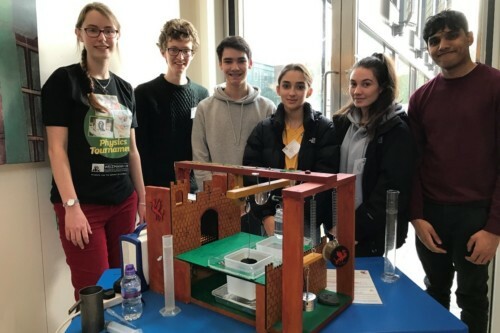 Birkdale was represented by two teams in the national final of the Weizmann UK Physics Safe-cracking Competition 2019. 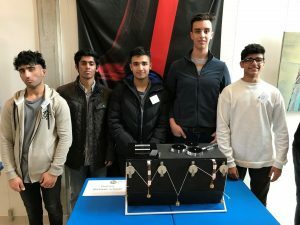 Since last September, 12 of our L6 students have spent many lunchtimes in the lab and workshop to design and build safes which require Physics-based puzzles to be solved in order to break in. The ‘Birkdale Fortress’ design utilised Hooke’s Law, the principle of moments, buoyancy and the polarisation of light. The ‘Team Photon’ entry used the ideas of light refraction, and the equilibrium of forces. On Sunday 10 February we travelled with the safes to Dulwich College in London for the tournament. Our teams attempted to crack into other team’s safes to score points, while also defending our own against potential crackers. Their knowledge of Physics was also put to the test in an intense grilling by the panel of judges! The standard this year was by far the highest we have seen in four years of taking part in the competition, so our teams can be incredibly proud of their efforts. In particular, for ‘Birkdale Fortress’ to finish 10th out of 24 teams was an outstanding performance. A huge thank you and well done to both teams! We would also like to thank the Design & Technology department for their help in turning the initial designs on paper into real working safes. Dr Jukes and Mr Cook.